Conroe is a charming blend of nature, history, the arts and recreation nestled in the beautiful Piney Woods of East Texas. Visitors find decision making the hardest part of their visit – so many places to see, so many things to do. Visit the Conroe Convention & Visitors Bureau website at www.playinconroe.com for up–to–date information on what’s happening in and around the city. You’ll find where to stay, what to do, what to see and where to eat! Come experience for yourself why Conroe is called the Urban Jewel in the Piney Woods. The City of Conroe boasts hundreds of acres throughout the city dedicated as parks – perfect places to enjoy the great outdoors. So whether you’re looking for a quiet walking trail or a game of soccer, a picnic or a play structure, Conroe’s outdoor spaces have all the amenities for enjoyment. For additional park information, contact Conroe Parks and Recreation at 936-522-3842. When considering Your Real Estate agent for Conroe, Texas, you want a Conroe Realtor® that understands and relates to the market and your needs. Judy knows the area, the builders, and the market. 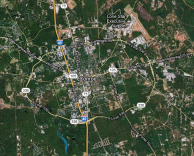 Want to know about homes for sale in Conroe? 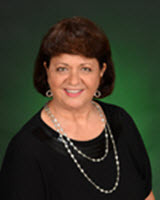 Judy can provide additional information including price trends, tax rates, statistics, and appraised values. Search Conroe Home Listings, Lake Conroe and neighborhoods throughout Montgomery County. Lake Conroe is located approximately one hour north of downtown Houston (via IH-45). Lake Conroe offers clean, clear water for recreation and beautiful waterfront real estate. Planning on buying a home? Listing your home for sale? Contact Judy Reynolds, Realtor® at (936) 203-7761 for homes and information in the Lake Conroe area.